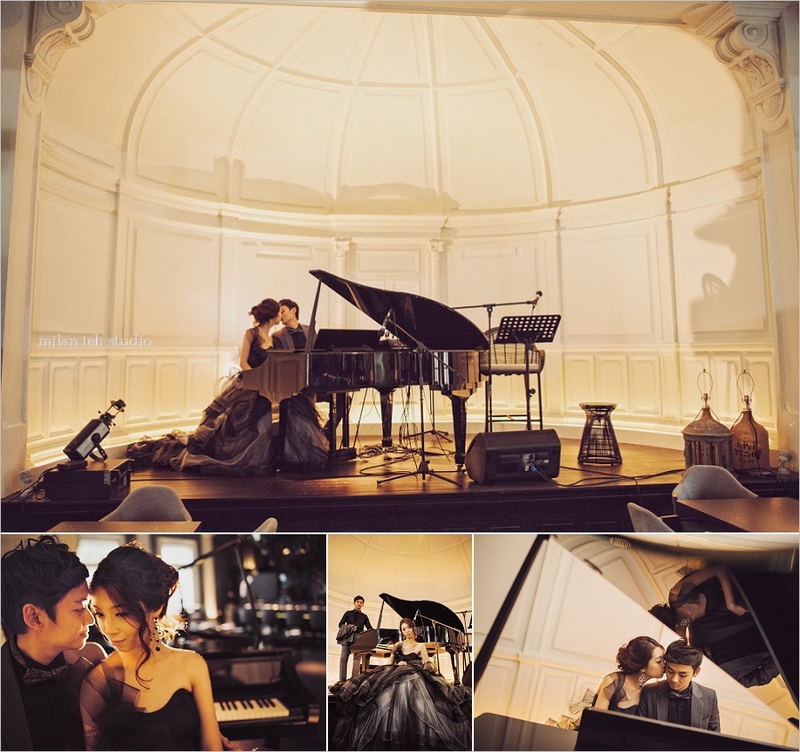 Despite portraits in formal are important for wedding, there are more couples that would like to have at least a series of smart casual attire added into the session. 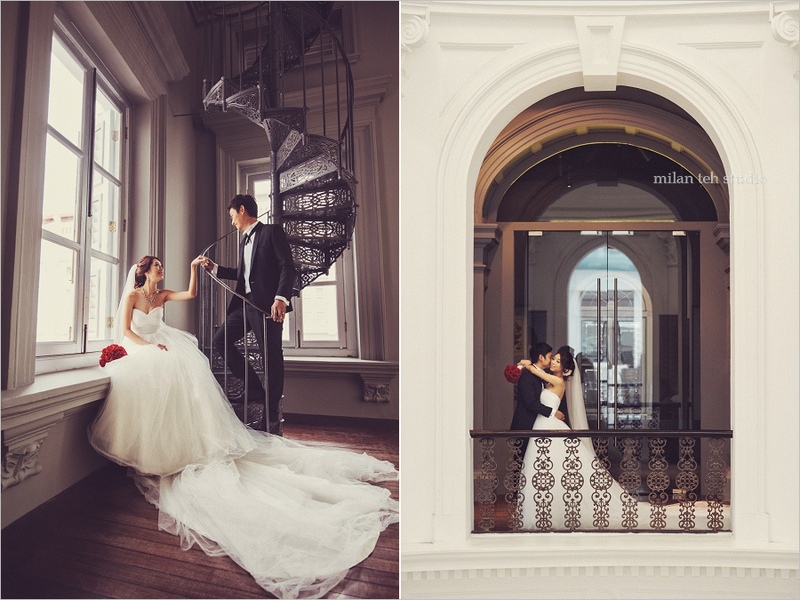 If you are wondering what is the main differences, let me reveal the determining factor from my perspective being a wedding photographer. 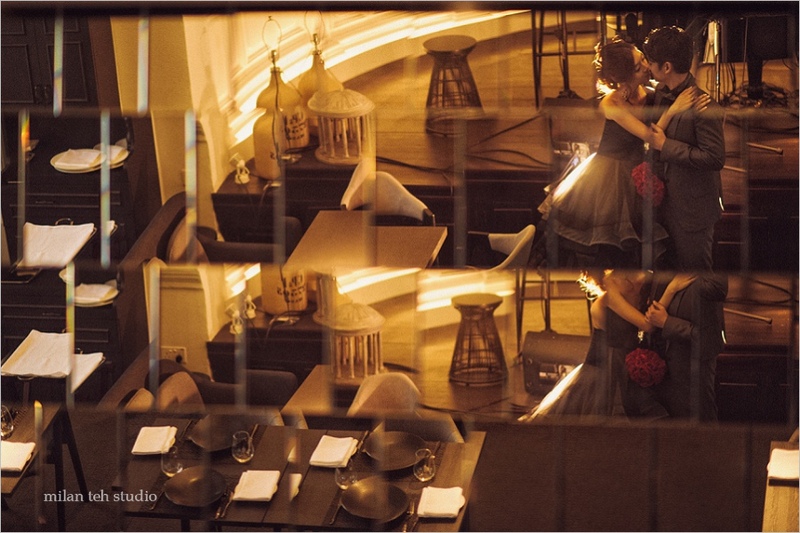 You'll be able to decide what is best for your prewedding photographs regardless where you are doing it. When a bride wears formal, you can't see the legs and body movements are limited. 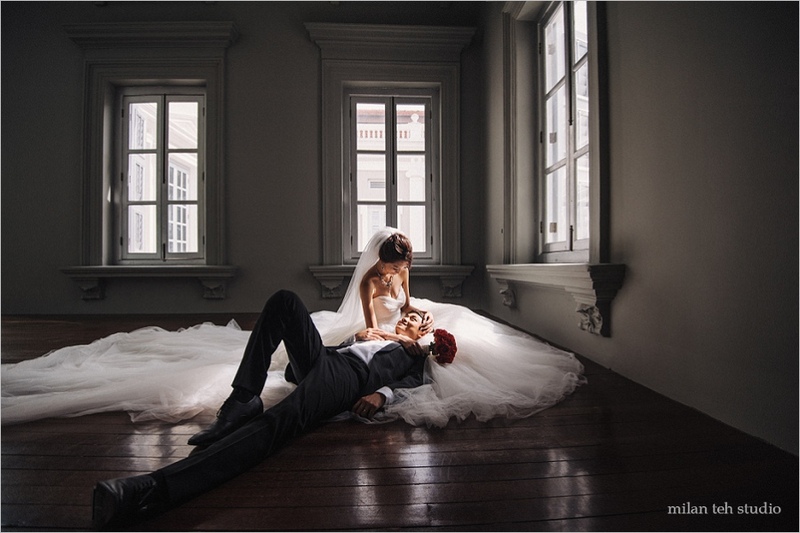 That means the photos may turn out having a tendency of going towards the classic wedding photography approach - having a beautiful pose, with appropriate lighting at a nice location. It's because each frame would turn out having the bride's silhouette/feature looking the same repeatedly - head, hands, gown. Thus, to make the whole series nicer with variations we'll use some poses, manipulation of lighting, framing and the common 'destination shoots' at pretty location to spice things up. If you wanted something extra, something lifestyle-like where you can have fun with your loved one and not to worry of damaging your wedding gown, do it in a smart casual attire. You can see from our past work in Love Diary how formal vs non-formal would turnout. I usually recommend minimum of 1+1, 1 formal and 1 casual. You can also consider having 2+0, 2+1, 1+2 or even 2+2 too if you have more time with your wedding photographer and the rationale of doing more attires are in some way meaningful to your wedding. You will be too tired for anything more than that, trust me. The rule of thumb, what you wear and the venue determines the majority mood and theme for the series. 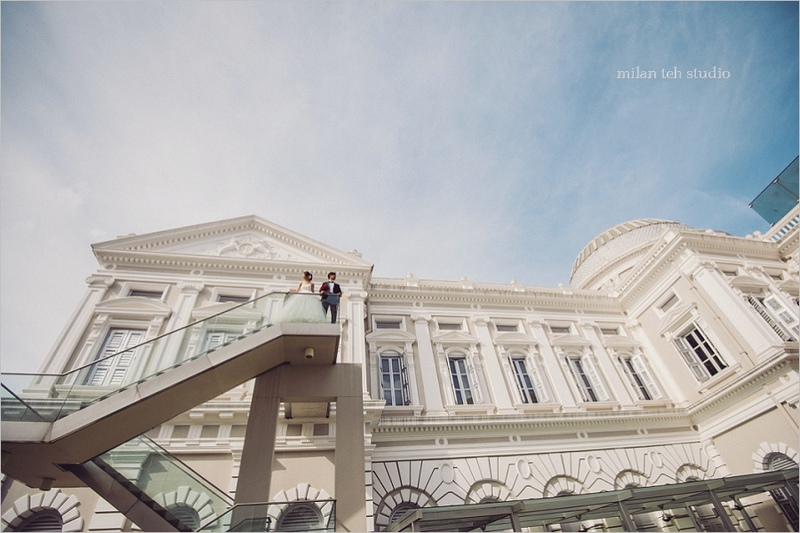 Photographed this series of Lucas & Sarah's prewedding earlier at Singapore which consists of two formals. 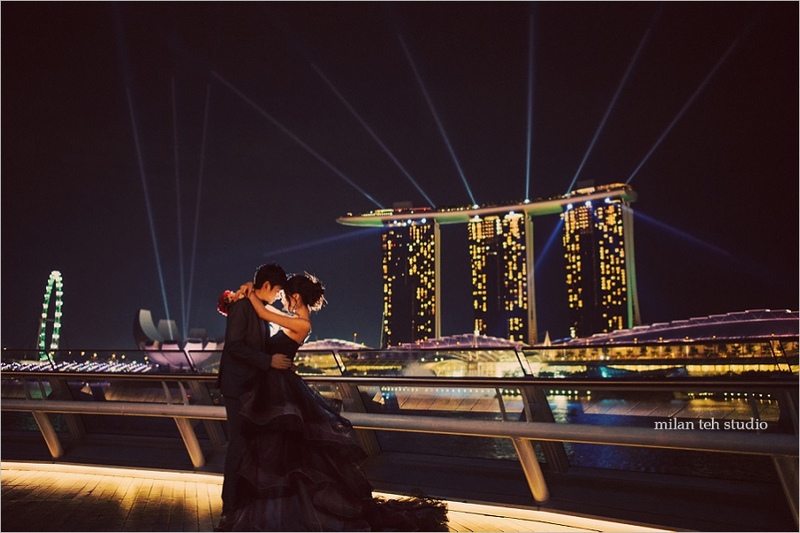 The shot below especially is a real lucky one as when we walked around that area, we can see this light show going on at the MBS, what a serendipity. Was thinking really fast how to execute this shot with the limited time and constant running of lights, all of us are happy with this version. &.b.t.w. - I'd like to take this opportunity to announce that, for someone I love, I will be gradually relocating myself to Singapore. Meaning I will have two bases, Penang-Singapore. Not an easy decision as it would meant starting over again for me as majority of my client base are at Malaysia. But come to think of it, it's good to travel out of comfort zone on and off, in order to seek improvements. All rates will be adjusted from time to time accordingly while I seek for a balance point of making a living in this unique situation. Anyhow, one thing is certain, book as early you can to enjoy the best offer.